Opponents of a logging plan that includes century-old redwood trees have notified California forestry officials that they plan to sue unless the state rescinds its approval of the project. The Press Democrat reports that environmental groups submitted official notice to Cal Fire Director Ken Pimlott on Friday. The groups says the "Dogwood" timber harvest plan along the lower Gualala River will degrade floodplain habitat for plants and wildlife, and argue that the state didn't adequately study that before approving the plan. Officials have said the plan includes environmental safeguards and meets state standards. It received three rounds of public review and revision. Environmental groups say they need to know by July 20 if Cal Fire is willing to negotiate. 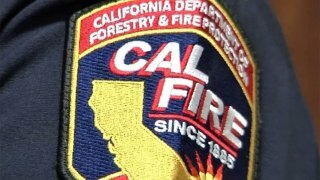 Cal Fire didn't respond to a request for comment Wednesday.